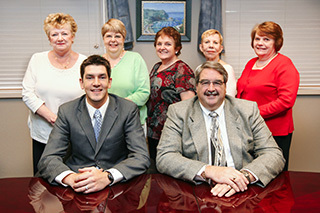 We provide insurance and financial protection products and services for individuals, businesses, and their employees. Our stringent code of ethics places the client's needs above all others and demands uncompromising integrity in every aspect of our business conduct. For our associates... we are dedicated to their success. We constantly strive to enable them to be of greater service to their clients. It is our objective that each associate be a highly competent professional, respected for their techinical expertise, product knowledge, and commitment to the professional growth through continuing education and service to the community. You are unique. Your circumstances, responsibilities and goals for tomorrow dictate financial strategies particular to you. Recognizing and utilizing appropriate financial strategies takes extensive knowledge, insight, and - above all - the active interest and continued attention of a dedicated and concerned professional. Our objective is to help you achieve financial security in a complex and constantly changing world. We design plans to help you achieve what is important to you. We begin with a thorough review of your present financial situation so you can see where you stand. 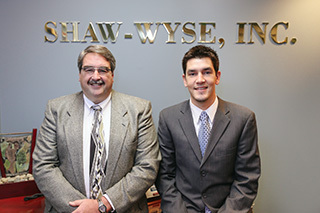 We listen for a thorough understanding of exactly what your objectives are for you, your family, and your business. Only then do we begin to design a plan specifically for you. Successful people are often simply too busy to coordinate all of their assets into a systematic plan. Their insurance, investments, estate planning, college education planning, retirement planning, and asset allocation are normally handled by a variety of advisors who work independently. We offer a team of professionals who can provide the required coordination and implementation. Our goal is to help you to achieve your financial objective. To that end, we pledge our knowledge, our resources, and our dedication to integrity in all we do.